The Swedenborgian Church of the Holy City, on Broom Street in Wilmington. 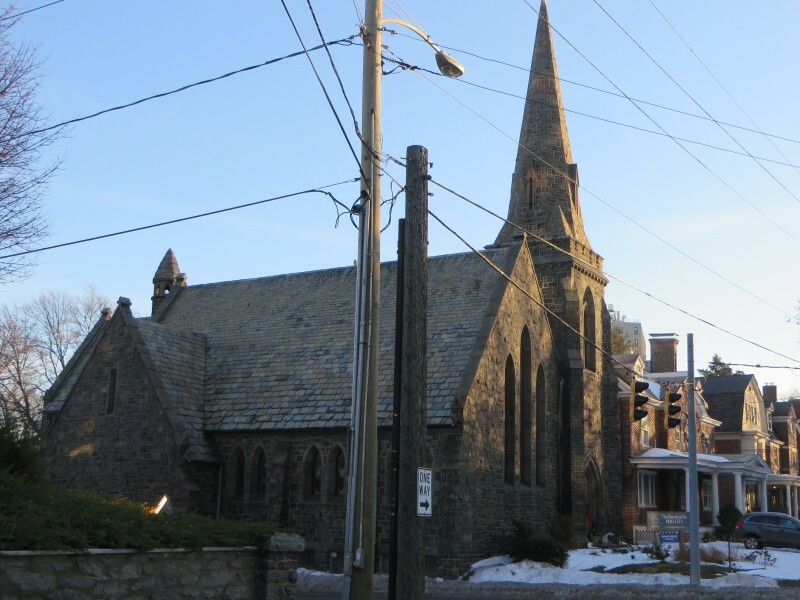 The church was built in 1858, and was originally located at 11th Street and Delaware Avenue, closer to Center City. When Delaware Avenue was widened in 1917, the church was moved to its present location, and was altered with windows lowered and the doorway moved. Photo by xzmattzx.